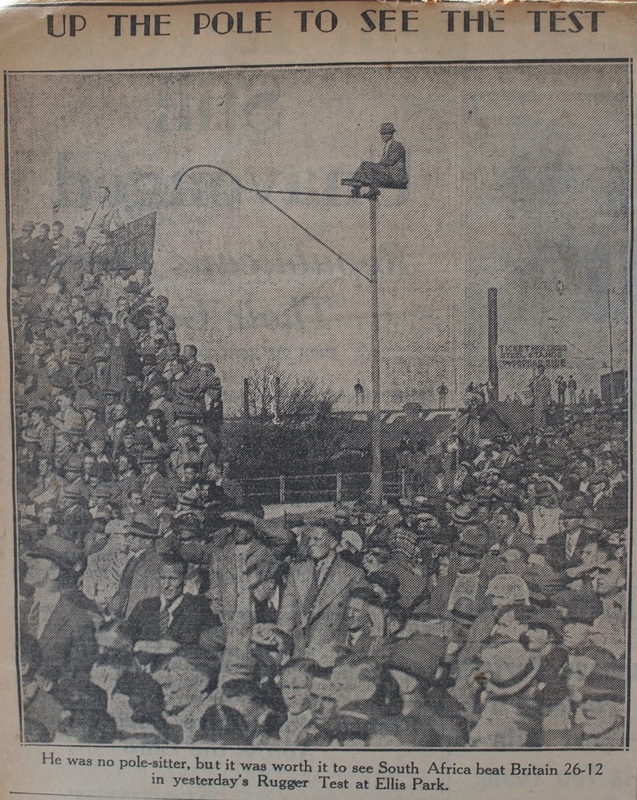 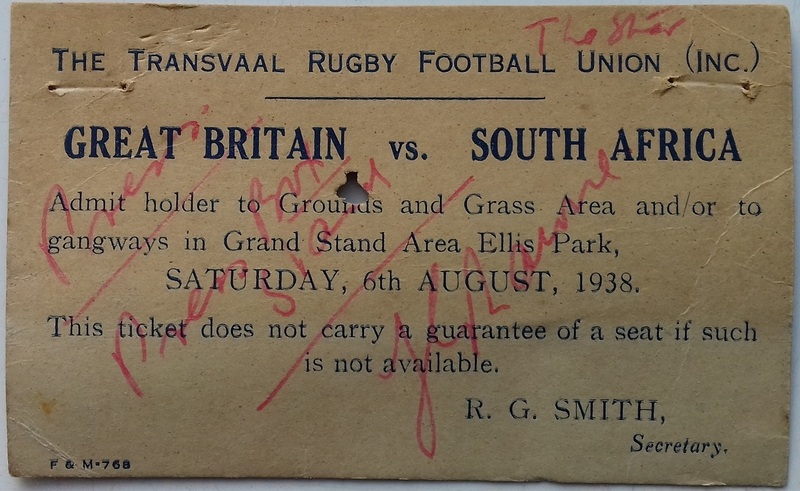 South Africa won the first Rugby Test of the 1938 series when they beat Britain before a record crowd at Ellis Park by 26 points to 12 points. 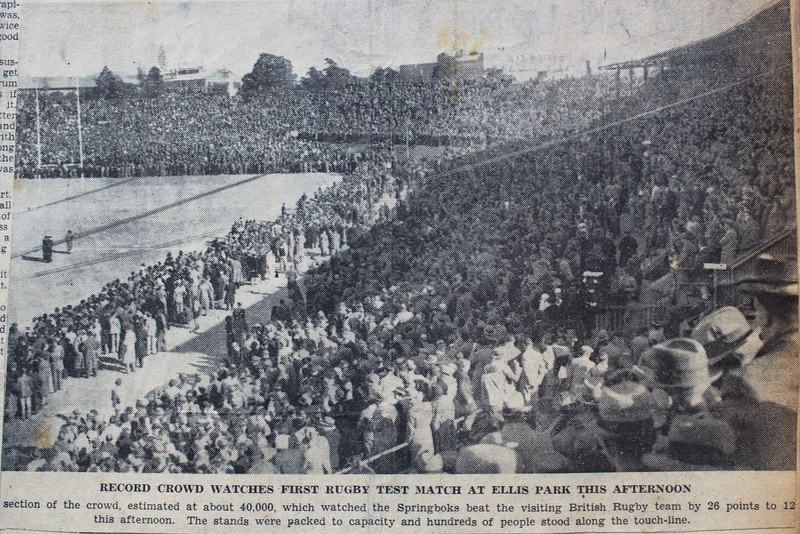 The Springbok forwards with Boy Louw and Ben du Toit were especially prominent helping lay the platform for a convincing victory for the host nation. 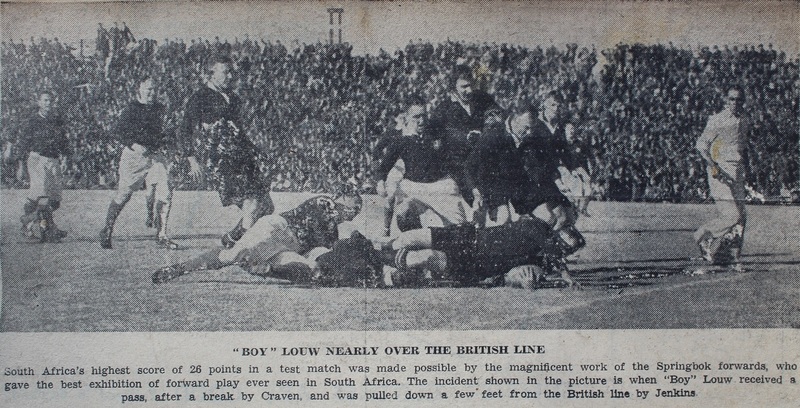 A feature of the match was the magnificent kicking by the full-backs, Brand & Jenkins. 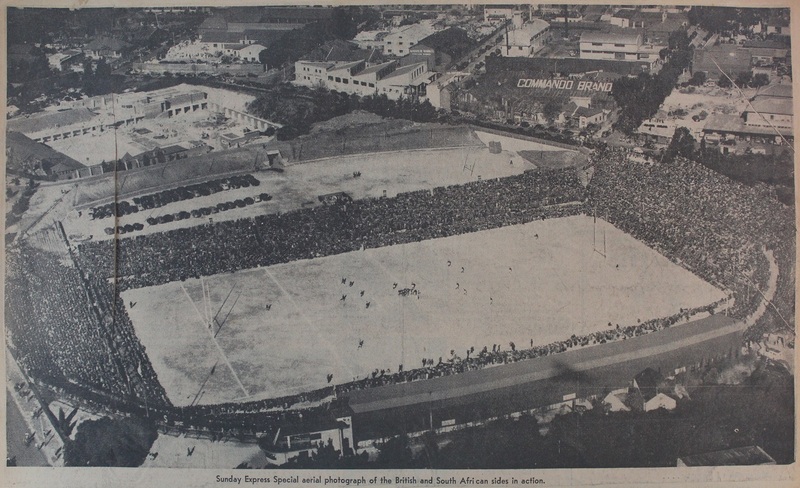 Brand scored 14 of South Africa’s 26 points with two penalty goals and four conversions. 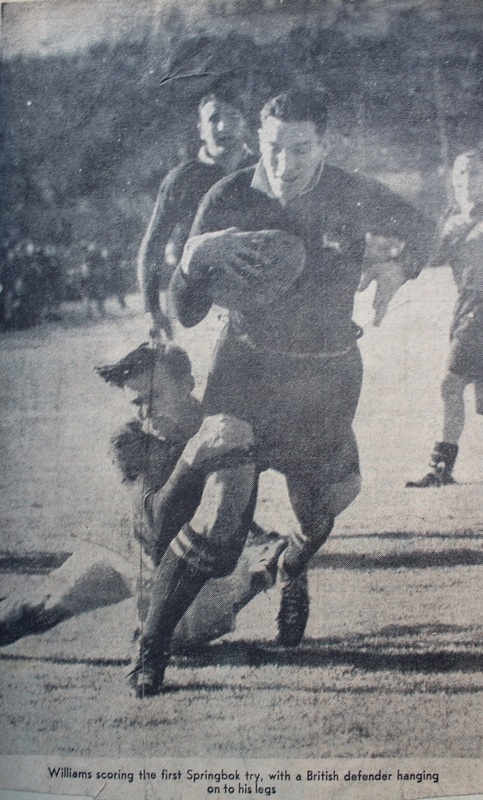 While Jenkins, who played his best game of the tour, kicked three penalty goals for Britain. 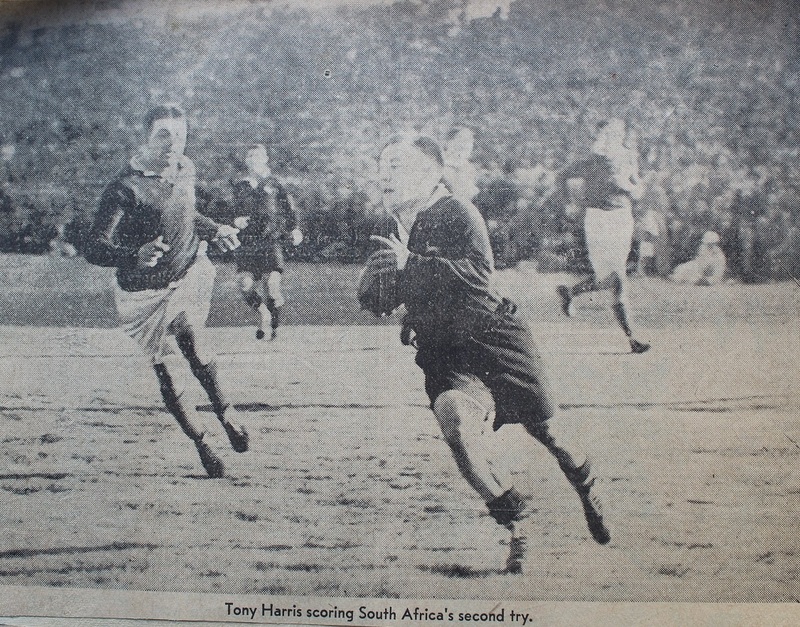 South Africa: 26 (Harris try, Williams 2 tries, S.C Louw try, Brand 4 conversions & 2 penalties.